Last weekend, we used one of the last remaining weekends in Coblenz for another painting-get-together. 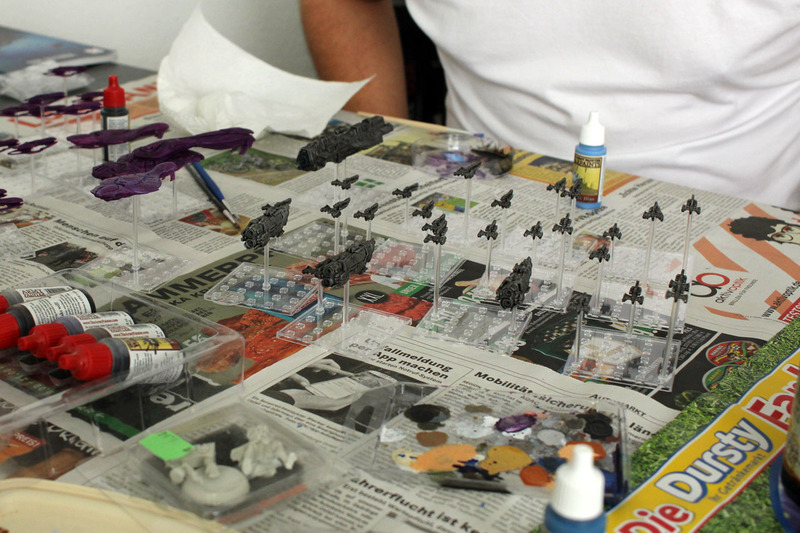 We set up this "event" to help Julius getting his recent birthday present (the Halo Fleet starter) painted, Florian brought along his Mars Attacks, and as Christian enjoyed the idea of group painting, he grabbed a few Infinity Miniatures and joined the group. 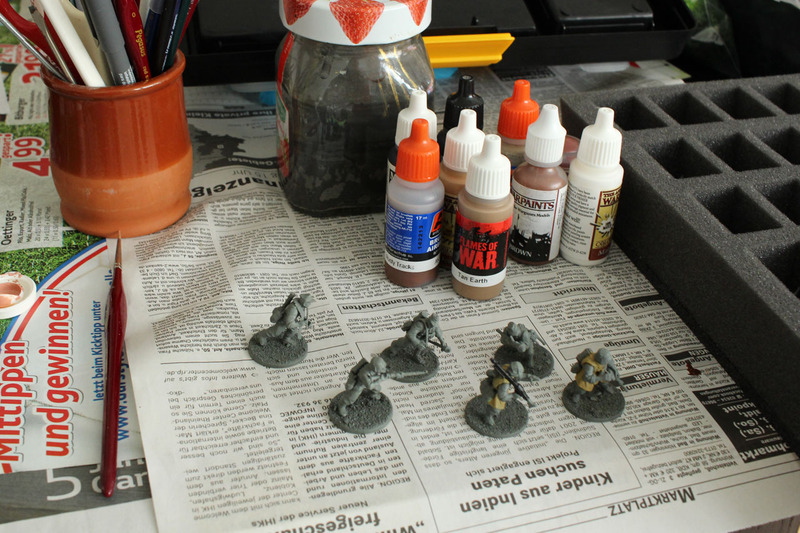 I used the chance to get some base colours on my late war german infantry. As it was Julius first time in Coblenz, we gave him a quick tour of the city and some local beers. 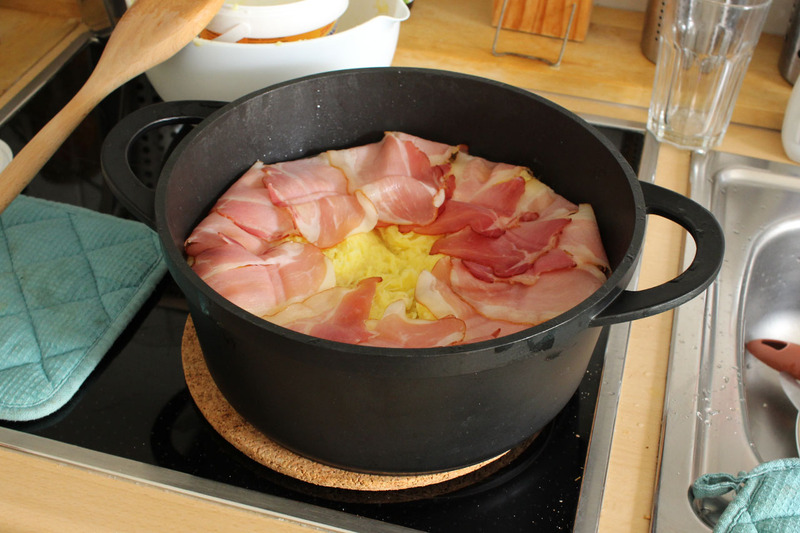 But you can't drink or paint on an empty stomach, so I decided to cook a traditional dish from the Westerwald. 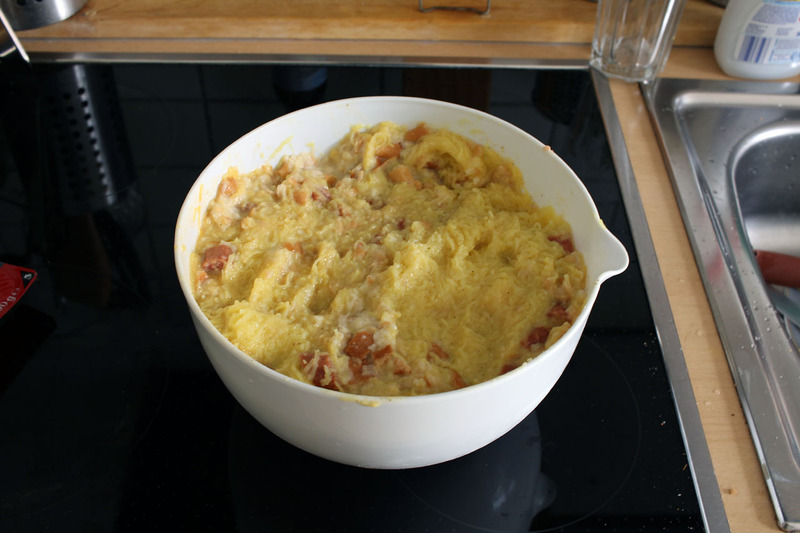 Dibbekochen, a potato dish. I started a bit lazy with pre-grated raw potatoes, added 2 stale buns, 3 eggs, a cup of Milk and roughly a pound of pork sausage. Season it with salt, pepper and nutmeg. 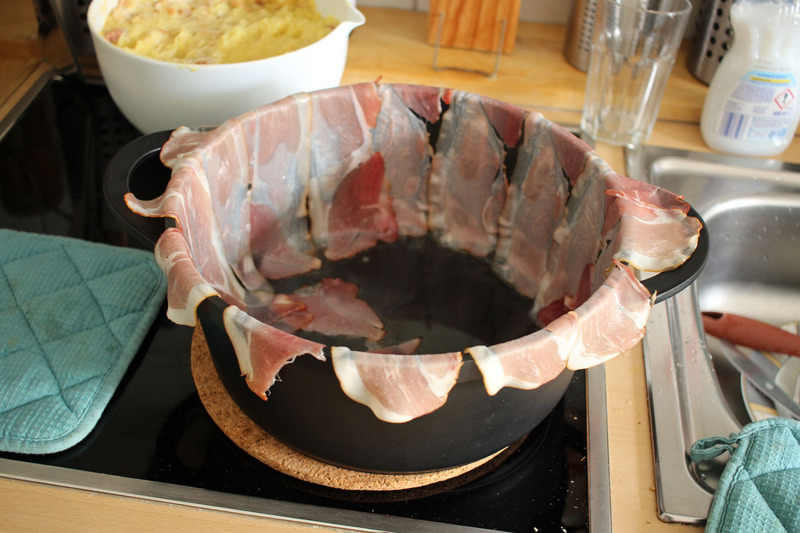 Usually you would use a large / broad pan, but i only had a large pot, so it was bit tricky to mount the pork belly stripes to the walls. It is important to head up the pot with oil along with the oven for around 160-180° C, so it has a good temperature when you lay the pork belly stripes and fill the potato-mix into it. Normally you wouldn't fold the stripes onto the grated potatos, but i decided it would be better than letting the meat burn. The whole pot goes into the oven for solid 2 hours until the top has a good brown colour. Apple sauce is served along with the Dibbekochen. 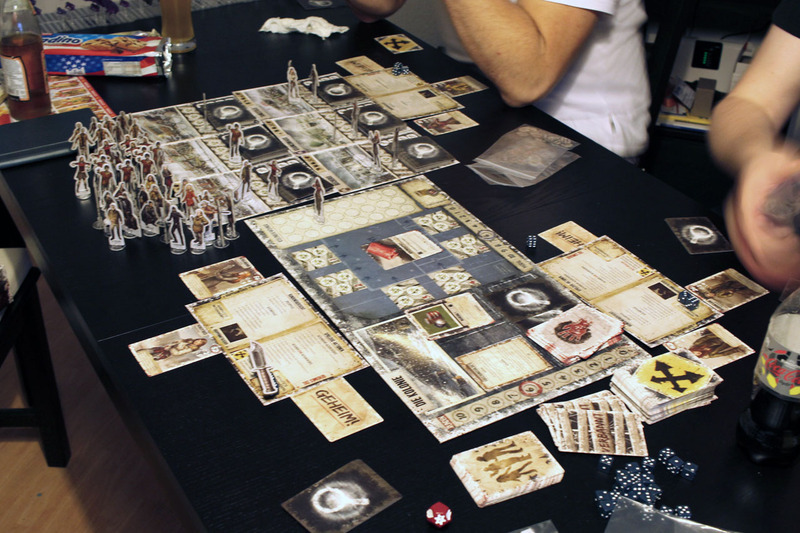 While in the oven, we enjoyed Dead of Winter. A superb boardgame, i'll write a review on this one. 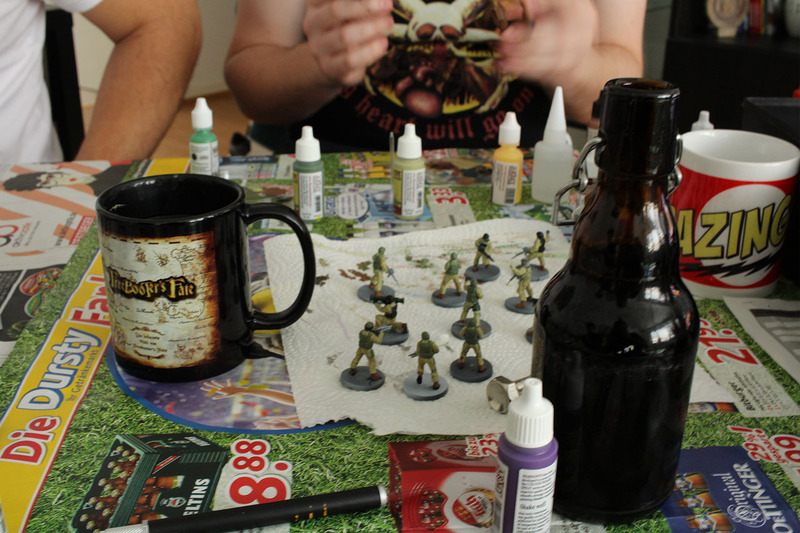 Really good coop-game, and you can find a proper introduction at Shut up & Sit down incl. video. 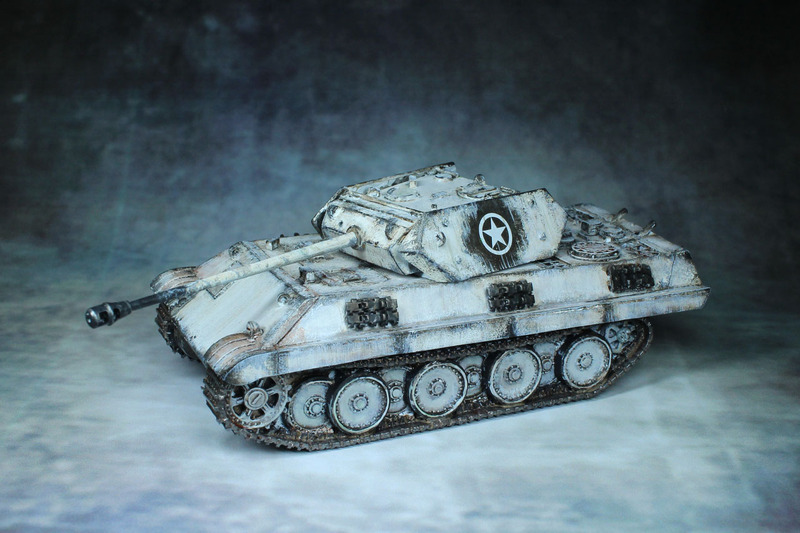 During and after the group painting, i continued on the captured KV1 / PzKpfw 753(r) and Panther M10, as introduced over here along with the already finished KV2 / PzKpfw 754(r). 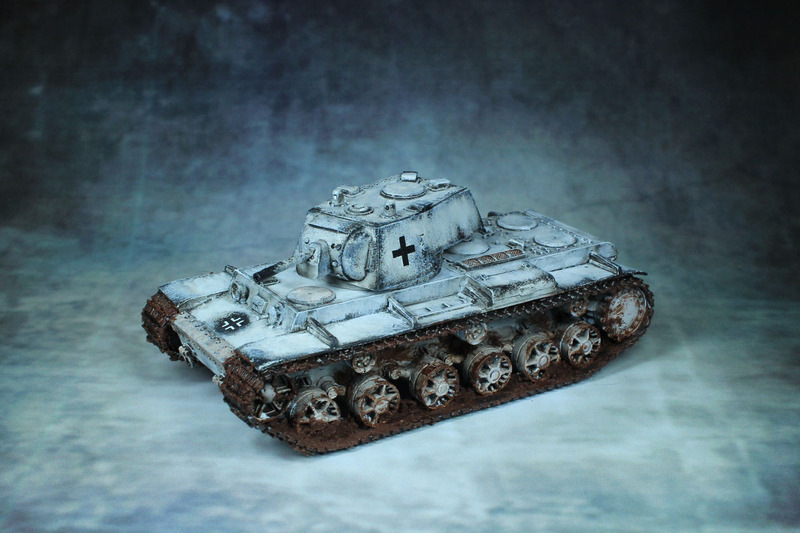 I had fun continuing the winter camo and adding the weathering / chipping on these. 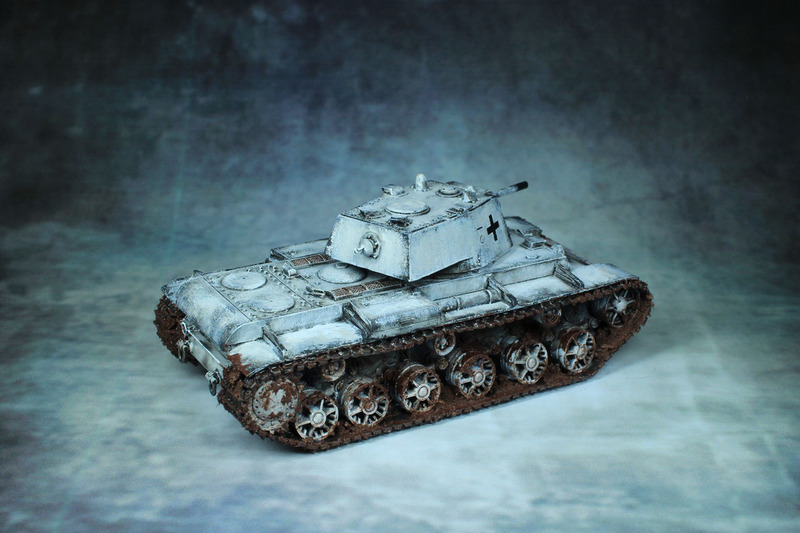 I modified the decals a bit on the KV1, as white on white looked a bit off, so i scratched those parts of. 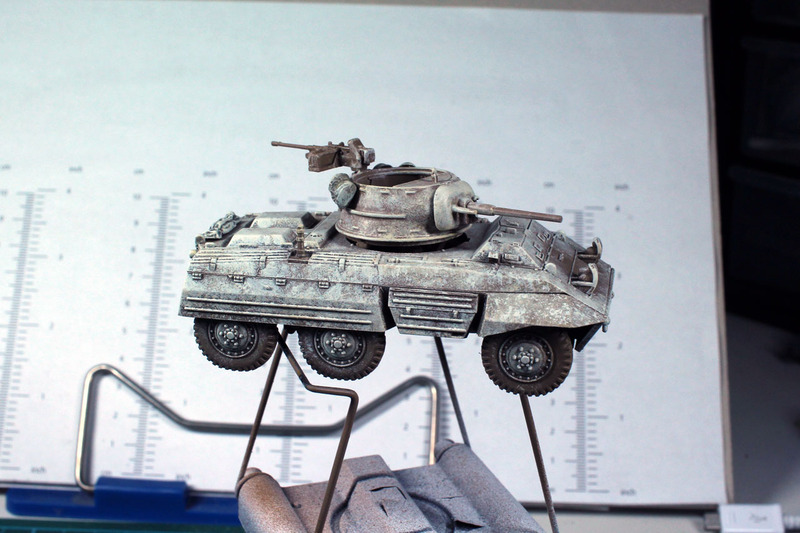 I might give the tank a bit heavier mud treatment, and might touch up the tracks on the Panther. Other than that, i am quite satisfied with the result. 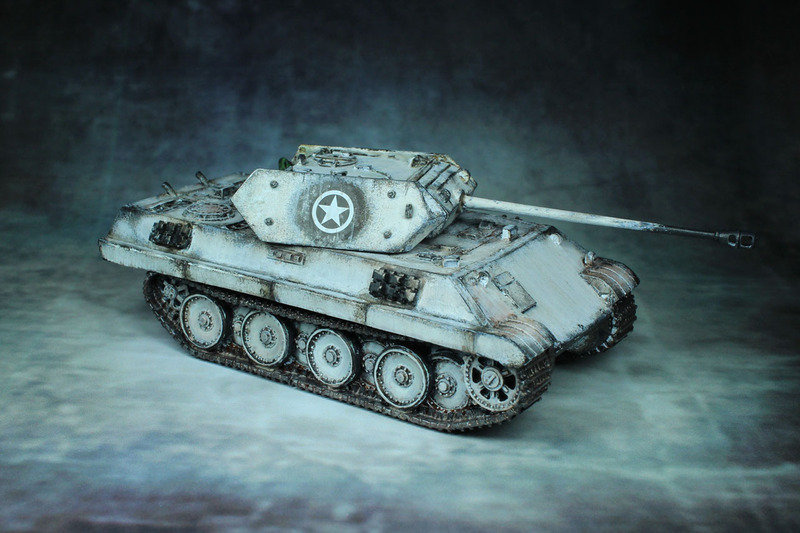 As i found pictures of captured M8 Greyhounds, and i currently have two of these (one Rubicon and one Warlord kit), i decided that one of them has to be part of the Winter Germans. 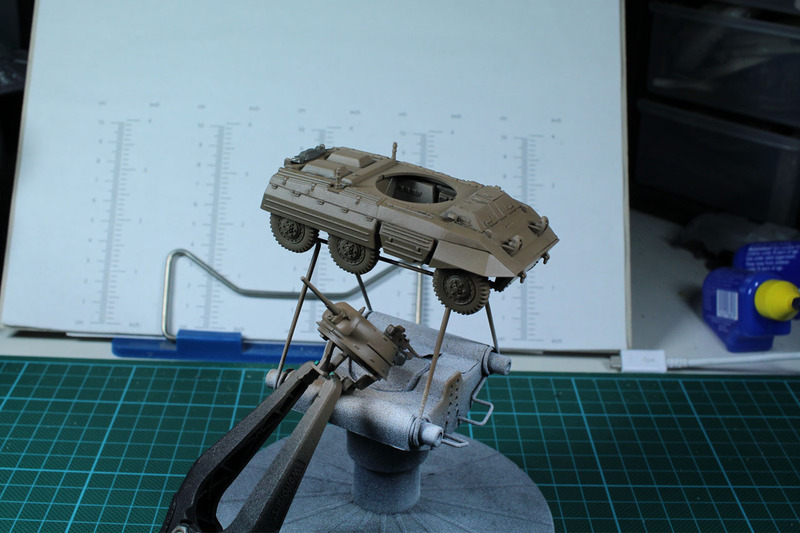 So i coated it in British Uniform by Army Painter and started with the Winter-Wash. That Panzerspähwagen Ford M8(a) will most likely be used as a Puma. Currently "only" infantry is missing for this project. 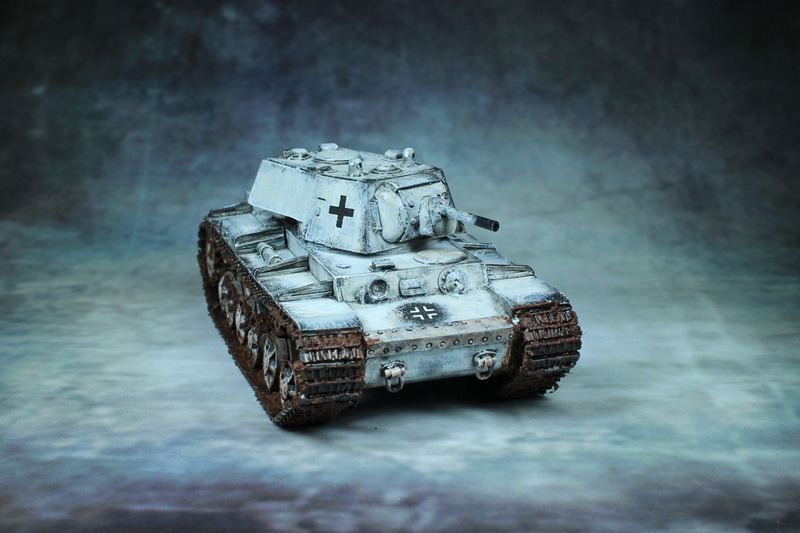 I have the Warlord Games winter germans, but they only have one squad of infantry. 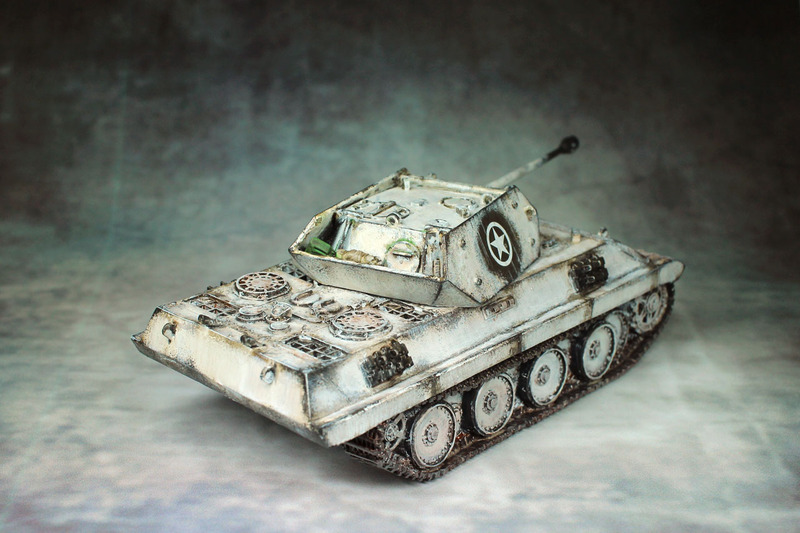 So i am currently unsure if i should convert some plastic soviets with late war german plastic parts for one or two squads, or go with some additional miniatures by Artizan Design. They are not that expensive at 14 GBP for a squad of 10, but i have the plastic parts already here and it would be a bit more challenging. What do you guys think?